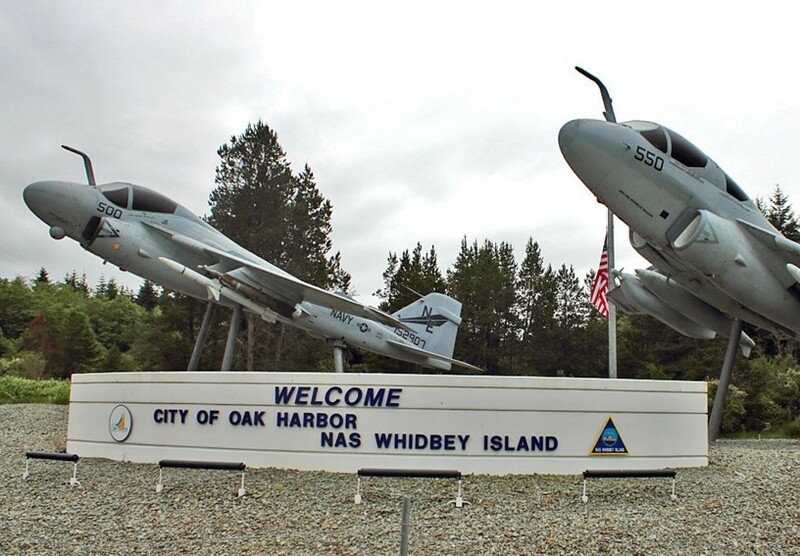 Naval Air Station Whidbey Island (NASWI) is located in Oak Harbor, WA, on beautiful Whidbey Island, part of Island County, which is in the northwest corner of Washington State, 90 miles north of Seattle; approximately a 2-3 hour drive depending on traffic. Within close proximity to the San Juan Islands and the Cascade and Olympic mountains, Whidbey Island is a haven for outdoor enthusiasts. Fishing, hunting, hiking, sailing, canoeing, camping and bike riding are all prevalent in this spectacular rural area with its rocky beaches and rolling hills. Because Whidbey Island is a rural area, it does have a fairly high cost of living. The first entry in the official log of NASWI was on September 21, 1942. Originally, the Air Station was commissioned as a base for seaplane patrol operations, rocket firing training, torpedo overhaul, and both recruit and petty officer training. Today, NASWI is home to the majority of the Navy's Prowler/Growler squadrons. Over 25 tenant commands are located at NASWI, providing training, medical and dental, and other support services. For more information, please see our homepage. The mission of NASWI is to provide the highest quality facilities, services and products to the Naval Aviation Community, and all organizations utilizing the Naval Air Station on Whidbey Island. Some of the major NASWI commands are: Commander Patrol and Reconnaissance Wing-10, Commander Electronic Attack Wing Pacific, Fleet Logistics Support Squadron-61, Naval Hospital Oak Harbor, Naval Operations Support Center, Fleet Readiness Center Northwest, Naval Ocean Processing Facility, Search and Rescue, and the Center for Naval Aviation Technical Training Unit Whidbey Island. For a complete list of commands supported by NASWI, please refer to the "Major Units" section. NASWI supports approximately 7,000 military personnel with an additional 14,000 family members, over 14,000 retirees, 350+ reservists, and 2,400 civilian employees. 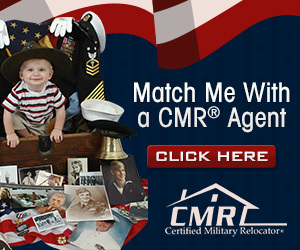 We also support over 50 Canadian Forces and their families. Australian forces and their families are also stationed here for one year tours. Whidbey Island is one of nine islands nestled in the Puget Sound between the Olympic and Cascade mountain ranges of the Pacific Northwest just off the coast of Seattle. Whidbey Island is a 2-3 hour drive from Seattle's SeaTac Airport and 1-2 hours from the Bellingham Airport. There are many transportation options to Whidbey Island: personal vehicle via highway, personal vehicle via ferry, or shuttle bus service. You can reach Whidbey Island by driving via Interstate 5 to the Washington State Route 20 over the beautiful Deception Pass Bridge on the north end of the island, Washington State Route 525 on the Clinton/Mukilteo ferry on the southern east coast (outside Everett), or the Coupeville/Port Townsend ferry on the west coast (Olympic Peninsula). Special Note: Currently there are electronic tolls on State Route 167, the Tacoma Narrows Bridge and State Route 520. For more information on electronic tolls in Washington State visit the state's Department of Transportation website. Exit SEATAC, follow signs to I-5 North (Take I-5 N approximately 75.6 miles). Follow instructions for "From Interstate 5" below. Exit BLI to I-5 South. Follow I-5 S for 27.6 miles to exit #230 to WA-20 and follow instructions for "From Interstate 5" below. From Interstate 5 - Take Exit 230 (Anacortes/Burlington). At the light, turn onto Highway 20 (West) towards Anacortes. Continue down this road until you see the signs directing you to turn left at the light for Oak Harbor and Whidbey Island. Turn left and continue on Highway 20 up the hill and across the Deception Pass Bridge. This is a long, winding and often dark road so drive carefully. Have a camera ready as you drive across the Deception Pass Bridge. Proceed to the light adjoining Ault Field Road just outside the City of Oak Harbor. To go to the main base (Ault Field) turn right. There is a welcome static display of an A6 and an EA6B aircraft at this intersection. To enter Ault Field's Charles Porter Gate, proceed to the first stop light, turn right onto Charles Porter Avenue and proceed through the gate. If driving a rental moving truck, pulling a trailer or camper you can only use Charles Porter gate. If you arrive and the gate is closed, please call (360) 257-3893 to have the gate opened for you. To go to the Pass and Decal office or the main gate, proceed to the third stop light, turn right onto Langley Boulevard, and turn right into the parking lot just before Langley Gate, the main gate. To go to the Seaplane base (where the Navy Lodge is located) stay on Highway 20. Turn left at Torpedo Road, which is just past Ault Field Road, in front of Mariner Self Storage and Penske Truck Rental. Torpedo Road forks; go to the left and proceed to the Torpedo Gate. From the Clinton ferry landing, follow Highway 525 North, which turns into Highway 20, for about 43 miles before arriving to Oak Harbor. To go to the main base (Ault Field) - Turn left onto Swantown Road, which is the first stop light before entering Oak Harbor. Turn right onto Heller Road, and continue until it turns into Ault Field Road. To go to the Pass and Decal office or the main gate, turn left at the first light onto Langley Boulevard and turn right into the parking lot just before Langley Gate, the main gate. To go to the Charles Porter Gate proceed to the third light, turn left onto Charles Porter Avenue, and proceed through the gate. To go to the Seaplane Base (where the Navy Lodge is located) stay on Highway 20 as you come into town. Highway 20 turns left at the third stop light but DO NOT turn left. Continue straight on this road. It will turn into Pioneer Way and leads straight into the Seaplane Base's Maui Gate. From the Coupeville ferry landing, turn left on Engle Road. Stay left on Engle Road (about 4 miles) until you come to Highway 20 in Coupeville. Take a left at the light and continue north to Oak Harbor. To go to the main base (Ault Field) -Turn left onto Swantown Road, which is the first stop light before entering Oak Harbor. To go to the Charles Porter Gate, proceed to the third light, turn left onto Charles Porter Avenue, and proceed through the gate. Highway 20 turns left at the third stop light but DO NOT turn left continue straight on this road; it will turn into Pioneer Way and leads straight into the Seaplane Base's Maui Gate. Ferry sailings can be cancelled at any time due to inclement weather or mechanical issues. In addition, wait times can be long on holidays and on the weekends, we recommend you visit the ferry website to verify the schedule and check wait times before traveling. It is stronglyrecommended you make reservations in advance to guarantee a spot on the Port Townsend/Coupeville ferry (80% of the ferry capacity is by reservation only, which leaves 20% for non-reservation vehicles). Reservations can be made via the website or by calling 511 or 206-464-6400 or 1-888-808-7977 (in-state only). For late night arrivals to Ault Field, you will need to utilize the Langley Boulevard Gate, which is the only gate open 24/7. For late night arrivals to the Seaplane Base, you will need to utilize the Torpedo Gate, which is the only gate open 24/7. The Navy Lodge is located on the Seaplane Base, which has two gate options, Torpedo and Maui (directions to these gates are listed above). If you are coming from the Torpedo Gate, proceed forward along the coastline until you come to an all-way stop, go left, drive past the Navy Exchange and Commissary complex until you come to a fork in the road, turn left, the Navy Lodge will be on your right. If you are coming from the Maui Gate, proceed forward until you come to an all-way stop, turn right, drive past the Navy Exchange and Commissary complex until you come to a fork in the road, go left, the Navy Lodge will be on your right. Ault Field has four access gates: Charles Porter, Langley, Saratoga, and Hammer (formerly Nortz). Saratoga and Hammer gates have limited hours; therefore, we recommend all newcomers use either Charles Porter or Langley gates. Langley is considered the main gate and is open 24/7. If you are arriving via Langley Gate - proceed forward through the gate on Langley Boulevard. You will come to a four way stop, continue straight. This road will curve to the right; get in the left-hand lane after the curve and turn left onto Charles Porter Avenue. The entrance to building 385 is on the right directly across the street from McDonalds; however, there are two roads - the first one leads to the air terminal and the second one to building 385. If you are arriving via the Charles Porter Gate - proceed forward through the gate on Charles Porter Avenue. You will pass several hangars, the base theater and the galley. The entrance to building 385 is on the right directly across the street from McDonalds; however, there are two roads - the first one leads to the air terminal and the second one to building 385. The Nor'Wester houses many programs and services: Housing Services Center, Personal Property, Fleet and Family Support Center, Fleet and Family Readiness Administration, Disabled American Veterans (DAV) Office, and Child and Youth Programs Administration. From the Charles Porter Gate - proceed forward through the gate on Charles Porter Avenue. You will pass several hangars, the base theater and the galley. You will turn left onto Lexington Street just after McDonalds. This road is "s" shaped. You will come to a four-way stop, proceed forward and building 2556 is on the right, which is the end of this road. From the Langley Gate - proceed forward through the gate on Langley Boulevard; you will come to a four way stop, turn left onto Midway Street. You will come to a stop sign and the end of this road, turn right onto Saratoga Street. You will come to a four-way stop, turn left and building 2556 is on the right, which is the end of this road. If you have reservations at Navy Gateway Inns and Suites or will be residing in Unaccompanied Housing, you will need to check in at Building 973, McCormick Lodge, which is Navy Gateway Inns and Suites' primary building. From the Charles Porter Gate - proceed forward through the gate on Charles Porter Avenue. You will pass several hangars, turn left on Midway Street just after the base theater, and proceed straight through the four-way stop. The Officers' Club will be on the left just before the "T" in the road, which is Saratoga Street. Turn left into the Officers' Club parking lot; McCormick Lodge will be on the left just behind the Officers' Club. From the Langley Gate - proceed forward through the gate on Langley Boulevard; you will come to a four way stop, turn left onto Midway Street. The Officers' Club will be on the left just before the "T" in the road, which is Saratoga Street; turn left into the Officers' Club parking lot, McCormick Lodge will be on the left just behind the Officers' Club. Oak Harbor has access to two airports: Bellingham International Airport in Bellingham, WA, and SeaTac Airport in Seattle, WA. Whidbey Island is 2-3 hours from the SeaTac Airport and 1-2 hours from the Bellingham Airport so you will need to arrange additional transportation to the island via shuttle bus. Currently Whidbey SeaTac Shuttle is the only shuttle bus service available to the island and NAS Whidbey Ault Field. The shuttle provides service to and from both the SeaTac and Bellingham airports. The SeaTac Airport pickup service is in the lower level of the airport, at door 00, same level as baggage claim. Reservations are preferred but not required. To make reservations call 360-679-4003 or log onto their website. Both services drop you off at Building 2701. USO Lounge with full-services is available at the SeaTac Airport on the Mezzanine Level. For more information, please visit the USO's main website and select "Find your local USO". No listings found for Whidbey Island Naval Air Station.